ZYTEQ Technologies SMT equipment is state of the art, high speed, efficient lines that provide consistent high quality products. All SMT lines are supported by Automated Optical Inspection (AOI) equipment, through-hole (TH) placement technology and all other required support equipment. Each SMT line is staffed by experienced and certified team members who are dedicated to making your product right the first and every time. Industrialisation process is considered an integral part of ZYTEQ's manufacturing phase. Our experience in new product introduction can assist customers in improving manufacturability, thereby reducing cost. Prototyping of new designs is a key service offering, including the design and manufacture of test solutions. ZYTEQ is able to provide a complete and cost effective material procurement solution for electronic applications. We carry a range of common value, passive components for our customer's convenience. Our systems are flexible and can accommodate whole and part kitting, or a complete procurement solution. We provide secure management of customer consigned inventory. ZYTEQ Technologies, Your partner in providing world class Contract Electronics Manufacturing solutions. A team with over a decade of experience in electronics manufacturing for local and export markets. 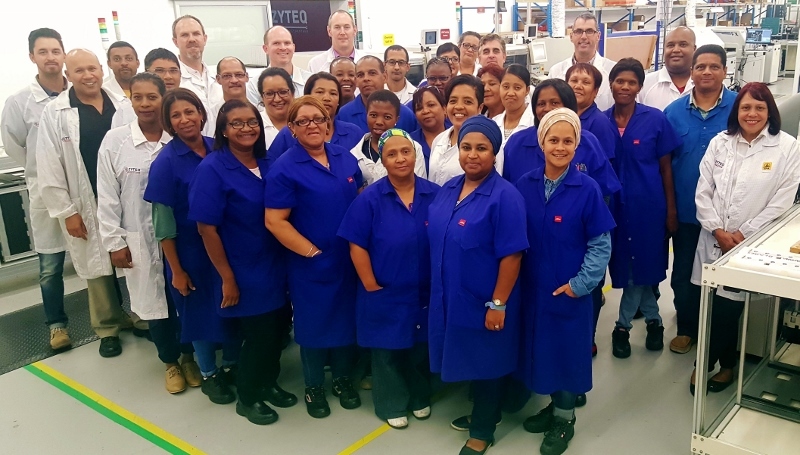 ZYTEQ provides a complete industrialisation solution to customers who require reliable, high quality and cost competitive products and services.